recommended for: Fans of Uglies by Scott Westerfeld, Sailor Moon, City of Bones by Cassandra Clare, and other fun, action-packed light science-fiction. 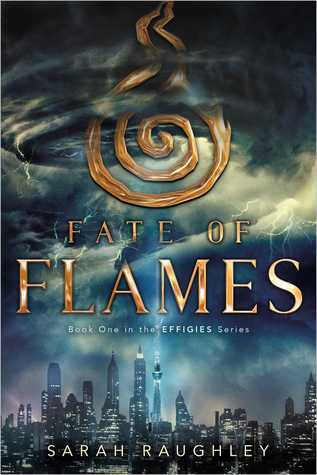 Part of what makes Fate of Flames thrilling is the clever play on the old chosen ones trope. The Effigies are chosen by fate, imbued with elemental powers and super-healing abilities, but that's where destiny ends and humanity begins. They're called to the fight when the last Effigy dies and their dangerous job makes for short lives, resulting in newly minted Effigies as young as 11 who are suddenly world-famous superstars under the thumb of an international organization, sent into battle after bloody battle. There is even a fansite dedicated to the Effigies. Yes, people tweet and fangirl over their favorite Effigies, and Maia herself was a dedicated Belle fan before becoming an Effigy herself. The plot is fairly breakneck, almost too fast at times, with Maia being thrust right away into a series of missions, battles, and encounters with a deliciously eerie baddie. He's called Saul, he can control the Phantoms, and his past is full of secrets that connected in surprising ways to Maia's dead predecessor. Though there were clunky parts of the plot, scenes and plot points that seemed contrived or extraneous, the fast pace and imaginative worldbuilding kept me interested. The battle scenes could have been ripped from a summer blockbuster; Raughley's language made them pop from the page, so you could feel the clash of metal on bone, the zap of electric weapons, the earthquake of blasted pavement. There was a lovely visceral quality about her action scenes. The characters were a little flatter than I'd hoped, in the way of video game characters. You get backstory and action, but I didn't always have a clear sense of them as rich, complex humans. Maia was the best developed. Her voice was so authentically teenaged, her motivations clear and complicated. I wanted to flick her nose a few times for being judgmental, but I also rooted for her good nature and curiosity from the start. The other three Effigies and agent Rhys are a little more skeletal. They feel like people, but ones I haven't fully come to know yet. I hope to get a better sense of them in the sequels. I was actually reminded greatly of the flair and characters of Uglies by Scott Westerfeld, which I loved, so the thinness wasn't a huge detriment. While it's a fun and punchy book, there's also a striking depth to the themes. Raughley spends a fair amount of ink exploring the problems that come with being chosen and famous when it wasn't your choice, and her story is richer for it. Maia learns that being an Effigy isn't glamorous, and the girls she judged for their tabloid antics are real people thrust into a real, desperate situation out of their control. The aspect of celebrity, its pitfalls and its false glamour, plays a major role in Maia's character development, from starstruck chipper heroine to truly self-chosen warrior who sees the darkness beyond the glamour, the people beyond the prophecy. Overall, it's not the strongest book I've ever read. There were substantial areas of the plot that were contrived or confusing, and some of the characters felt thin. That said, sometimes atmosphere trumps mechanics, and Raughley's book has a feel to it that draws you in. It's a vivid, action-packed, stupendously fun novel that came to me just as I was needing an escape. I think the Sailor Moon and Pacific Rim comparisons are spot on. I hope to see Raughley grow in her command of her plot and world in the sequels, because I think there are some truly unique elements in her world that demand to be showcased. 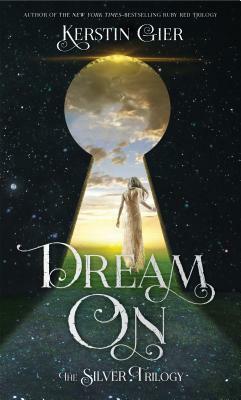 I really enjoyed the thrill ride of this novel, and I'm eager for Maia's next adventure. Fate of Flames is an action-packed, video game-esque thrill ride with a diverse cast and vibrant world. will i continue the series? I'd read the sequel yesterday if I could get my hands on it. Note: I received this copy from a friend to read. The price of the book and its origin in no way affected my stated opinions.